Transport for the North has announced Jeremy Bloom, a senior industry leader with 28 years of experience, as Strategy and Programme Director. Jeremy is set to join the statutory body from Highways England, where for the last 13 years he’s led network strategies, programme delivery and investment planning, most recently as Network Planning Director. He also brings expertise from time with consultancies AECOM and Parsons Brinckerhoff, as well as Network Rail and London Underground. The Director position is a pivotal new role within Transport for the North, with oversight of some of the North’s most significant and high-profile infrastructure projects. Jeremy will lead on the delivery of the Strategic Transport Plan, set to be submitted this Spring, and will take up his post in April. Barry White, Chief Executive at Transport for the North, said: “This role is symbolic of where we are as an organisation. We’re on the cusp of having an agreed Strategic Transport Plan to increase connectivity across the whole of the North. A true first. Having graduated from the University of Sheffield, Jeremy went on to deliver major studies and business cases for road investment projects, as well as establishing and leading Highways England’s £9 billion Regional Investment Programme. 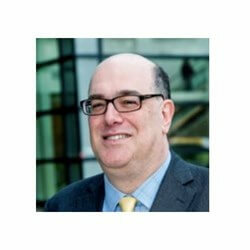 During his time at Network Rail he was Route Strategy Manager for the £2 billion East Coast Main Line upgrade.